With the official start of the fall season upon us, I thought I'd do a little catch-up post of just a few fun things I've done over the summer. Nothing grandiose, just a celebration of the little things. And speaking of little... early in the summer I decided to assemble a fairy and gnome garden. While I just couldn't find all the little toys and trinkets that I would have liked to find secondhand, I did find them cheaply from Big Lots and Michael's Craft Store. 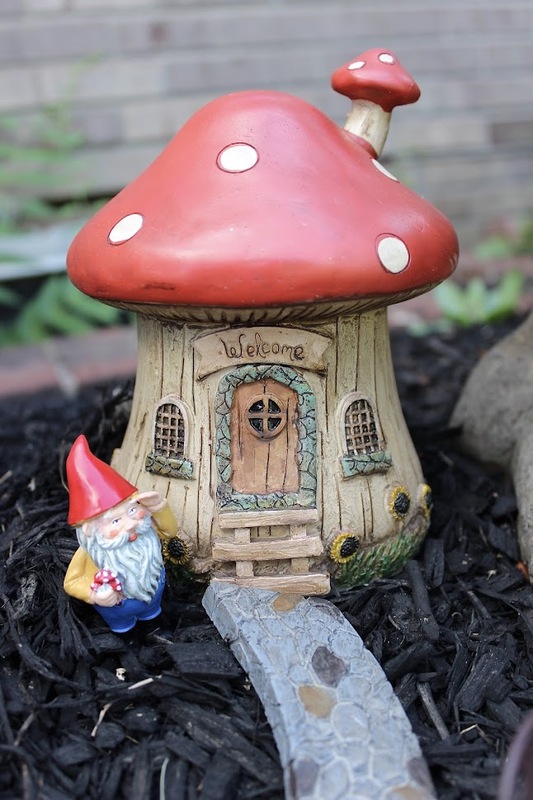 While I would've loved to have even more tiny gnome-scaled furniture and accessories, I was afraid the landscaping crew in our complex would accidentally destroy them in one of their bi-weekly mowing and mulching sessions. But these survived the summer just fine. And they'll hopefully make an appearance next summer...with additions. Back in June, our neighbors likely saw me skulking around the grounds of the complex with my DSLR and telephoto lens to catch the Strawberry Moon on the summer solstice. Being a novice nature photographer, I thought this was the best of the bunch. On the otherwise cloudy night, the skies cleared only briefly. 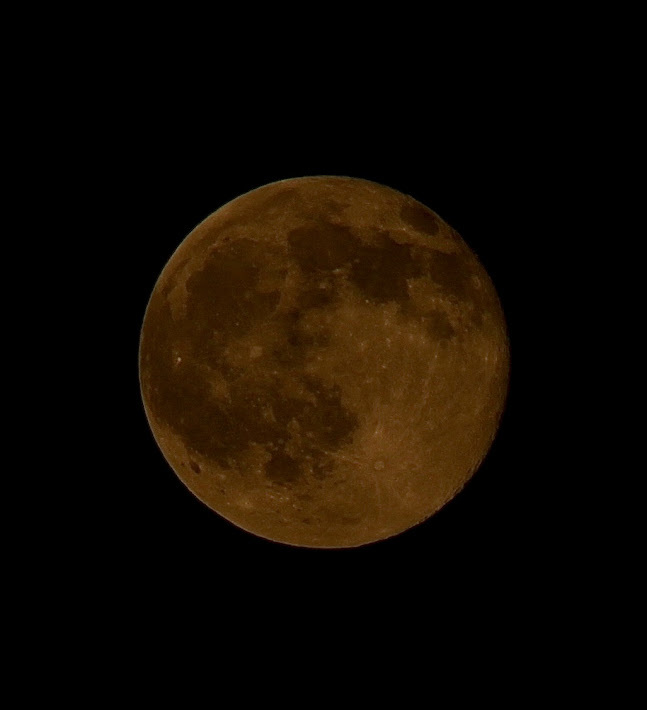 I was lucky to see the moon, extremely lucky to capture it. 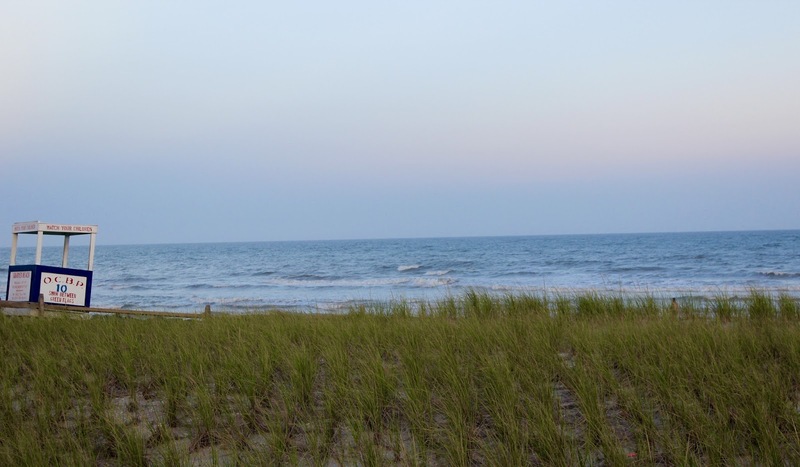 In August, James and I were fortunate enough to have a week of spectacular weather for our Ocean City vacation. It was blazing hot, but not a cloud in sight. We spent several mornings on the beach reading, and afternoons walking the boards and shops. And of course there was thrifting. 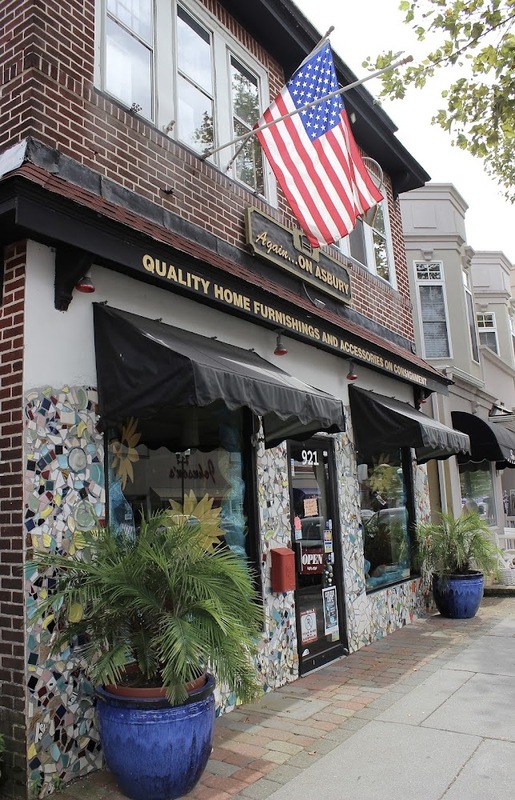 There was actually a number of thrift and consignment shops in downtown Ocean City, but only a few items I was actually interested in buying. We even took an excursion to Egg Harbor Township and neighboring areas in search of better thrifting. Ultimately I found a few items on our mini thrift trip, which I'll save for a later post. And in my new quest to lead a gluten-free life, following some GI troubles...I spent several summer days experimenting in the kitchen. This gluten free vegetable lasagne that used layered eggplant in place of noodles was a smashing success. 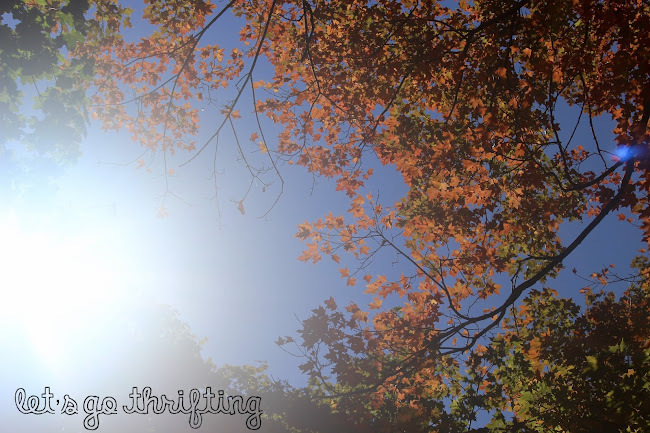 Hopefully with the progression of fall days I'll find new thrifting territory, to recipes to try, new horizons to look toward. Now onward! To fall landscapes, pumpkin patches, comfy sweaters, worn boots, and horror movie marathons! Yum! Your take on eggplant Parmesan/lasagna looks so wonderfully delicious. 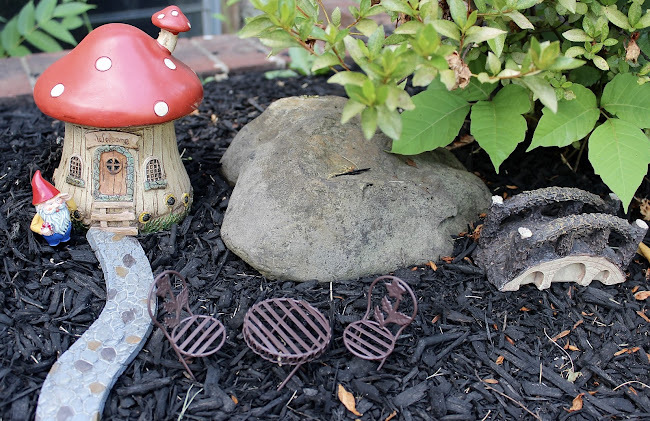 Love your adorable fairy + gnome garden as well. So sweet, special and fun. Many thanks, Jess! That was a fun vegetable adventure. It seems that eating gluten-free has meant several recipe alterations. Some work better than others. This one was really tasty.